Many organisations continue to rely on spreadsheets, which slows down the time to close and prevents them from achieving the necessary transparency and control. For many CFOs, this turns the consolidation process into a labour-intensive effort that takes up too much time and resources. 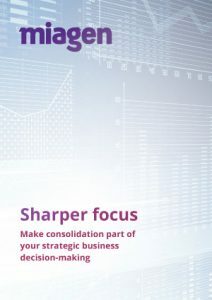 For finance leaders who want to contribute to the business at a strategic level, this whitepaper outlines the benefits of a consolidation tool that encompasses all the controls, checks and balances, can deliver faster group-wide visibility that enables better decision-making.